This article is courtesy of the Baylor College of Medicine….please share your thoughts below….. If someone is allergic to nickel and wears shorts or a skirt while sitting in this type of chair for prolonged periods of times, a red patchy rash may appear. In severe cases blisters may form. Sweat pulls more nickel out of an object, which also can cause a bigger reaction, she said. 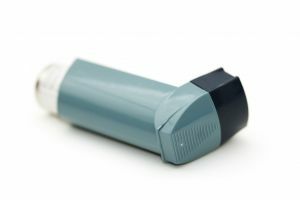 Besides nickel reactions, patchy rashes may also appear on children allergic to chemicals in leather furniture, she said. Dermatologists can treat both reactions with prescription creams that cut down on the inflammation in the skin. School Mileage Programs and Walk-A-Thon fund raisers just got easier with new Tablets and hands free RFID technology. Using state of the art technology that allows communication via Wi-Fi and cellular, Orbiter Lap Counter / Timer is easy to use. No wires or cables and 3 minute set up. economy and ease of operation as the entire school does not need a tracking tag for each student. to operate or the cellular modem but not both. Orbiter’s unique modem allows posting of immediate results to cell phones, and the Teacher control tablet. Family and friends now can enjoy seeing immediate results and encourage student progress. hardware and software engineers with RFID experience since the mid 90’s. They have produced easy to use software that is specifically designed for physical education teachers. Orbiter is now on version 4. Orbiter partners with Zebra and Motorola. By tracking students rather than RFID tags, lost tags are easily replaced and continuity of past effort retained. The Orbiter system has been tested and used on playgrounds for many years. Tablet operation, Teacher Tag, and dual modems are new for 2015. 1325 6th Avenue, Seattle, WA 98101 (2 ½ city blocks from the SHAPE Convention Center) between March 17 – 21. Call 866-938-3587 for more information. In a study of lunches brought from home at elementary and middle schools in the Houston area, researchers at the USDA/ARS Children’s Nutrition Research Center at Baylor College of Medicine and Texas Children’s Hospital found that the lunches did not meet National School Lunch Program guidelines. Their report appears in JAMA Pediatrics. Researchers examined lunches that were brought from home by 242 elementary and 95 middle school students. Nutrient and food group content of the lunches were assessed and compared with current National School Lunch Program guidelines. Per-serving prices for each item were averaged. 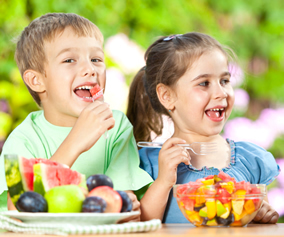 The study found that lunches from home had more sodium and fewer servings of fruits, vegetables, whole grains and milk. About 90 percent of lunches contained desserts, snack chips and sweetened beverages, which are not permitted in reimbursable school meals. The average cost of an elementary lunch from home was $1.93 and $1.76 for the intermediate school students. “These results suggest that lunches from home may be an important area in need of budget–friendly interventions,” said Cullen. Michelle L. Caruso from the Houston Department of Health and Human Services also took part in the study. The study was funded in part by federal funds from the USDA/ARS under Cooperative Agreement No. 6250-51000-053. The work was also supported by grant RO1HD068349 from the Eunice Kennedy Shriver National Institute of Child Health and Development. * Maintain that schedule – even on weekends! * Be a role model- Establish your own sleep-wake schedule and STICK TO IT! – Robert S. Rosenberg, DO, FCCP has over 20 years of experience in the field of sleep medicine. Board certified in sleep medicine, pulmonary medicine, and internal medicine, Dr. Rosenberg serves as the Medical Director of the Sleep Disorders Center of Prescott Valley, Arizona and sleep medicine consultant for Mountain Heart Health Services in Flagstaff, Arizona. He is a contributing sleep expert blogger at EverydayHealth.com and his advice has appeared in O, The Oprah Magazine, Prevention, Women’s Health, Woman’s World, Parenting, and Ladies’ Home Journal, among others. Dr Rosenberg is the author of Sleep Soundly Every Night; Feel Fantastic Every Day (Demos Health). He appears regularly on television and radio and lectures throughout the country on Sleep Medicine. Learn more about Dr. Rosenberg by visiting AnswersForSleep.com. With the school opening looming up ahead, the idea of transitioning your child with autism can prove to be daunting. Starting school can be a difficult time even for normal kids, more so with a child who has limited cognitive, social, and other developmental skills. Like normal kids, children on the spectrum also feel the same excitement and anxiety. This change can be difficult for them— the scenery, the people, their responsibility as students, co-existing with others, and so on. This often leads to sudden (and somehow negative) changes in behavior. By now, you must have already looked into a number of schools in your area and have found the right one for your child. To gear your child for the so-called “first day high,” try looking into these helpful tips and see if any of these can work with his or her level of ASD. 1. Try creating a social story to go along with the preparation. Pictures and video presentation prove to be effective channels to show them what school is like, how to go with the usual morning/afternoon routine, and other school activities. 2. Create creatively the list of daily activities he or she will have to take from waking up to brushing, walking/riding to school, entering the classroom, and so on. If possible, try to ask the school administration if it is okay for you and your child to look around. 3. Prepare a calendar complete with pictures. Indicate lunch with the picture of the school cafeteria or toilet time with the comfort room or playtime with a picture of the school playground with children playing. 4. Before school officially starts, ask if it is okay for your child to meet his or her new teacher. Let the teacher and the school’s guidance counselor know about certain “obsessions” that your child may have. Often, visiting school ahead of time and meeting the people he or she will encounter head-on can ease their way into transition. 5. Communicate, communicate. Whatever your child’s ASD level, it is imperative that you ask about what he or she feels. Engage him or her in the whole process. His or her feelings should come first and foremost on this journey. Make him or her feel secured and assured, that school is a safe haven. Instill happy thoughts in meeting new friends. He or she may be socially challenged, but this does not negate the thought of feeling the same level of excitement in meeting new acquaintances. 6. Reassure your child that school is his or her second home. While “Mommy” or “Daddy” help resolves problems for him at home, he or she now has an extra set of helping hands with “teacher” (be specific with the name of the teacher to make him familiar) around. 7. 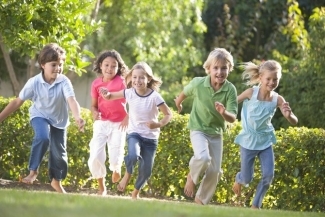 Try to check if there are kids in the neighborhood who will be going on the same classes with your child. 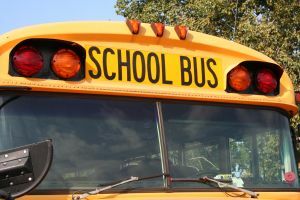 Sometimes, letting them connect to others before school starts can greatly eliminate unforeseen circumstances during transition. 8. 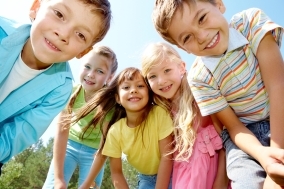 Make sure to find out what after-school activities can your child join. 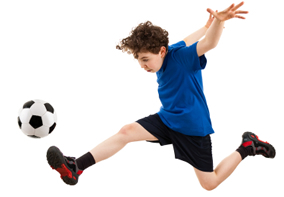 Some sports activities are excellent activities for children with ASDs. 9. Include your child’s therapist on this process. It is imperative that you are fully guided on every endeavor you pursue to ensure zero meltdown. 10. Be extra attentive. Some kids on the spectrum have a hard time coping with these sudden changes. Make sure to prioritize your child’s welfare before anything else. Each child with Autism Spectrum Disorder has a different way of dealing with changes in their environment. These tips may prove to be effective to others but, in everything else, you alone know what works best for him or her. – Pamela Bryson-Weaver is the author of Living autism day.by.day: Daily Reflections & Strategies to Give You Hope and Courage, being published in October by Freedom Abound, Inc. October is Autism Awareness Month in Canada (Bryson-Weaver lives in New Brunswick). Autism Awareness Month in the U.S. Is April. Since her son was diagnosed with autism 15 years ago, Bryson-Weaver has become an advocate, speaker and activist for children with special needs, children who are close to heart. Learn more at livingautismnow.com. Disclaimer – The Your Health Journal web site is for advice and information purposes only. It is meant to be an educational site. Opinions expressed by other individuals on this web site through guest posts or comments does not mean the creators of this website support their opinions or products. In fact, anything written on this site does not mean it is endorsed by anyone affiliated with this web site! Although we try to do checks of anyone who contributes to our site, we can also not be responsible for any false information they give, whether in their title, or facts they send. If you see an error, please send an email, and we will fix it immediately or remove an the article. If you have a question about the article, you should contact the author directly. From pizza and French fries to fruit dripping with rich corn syrup and canned, processed vegetables, your child’s food choices may be less than desirable to a health-conscious parent. It’s no wonder your child’s energy is gone and his clothes keep getting tighter.